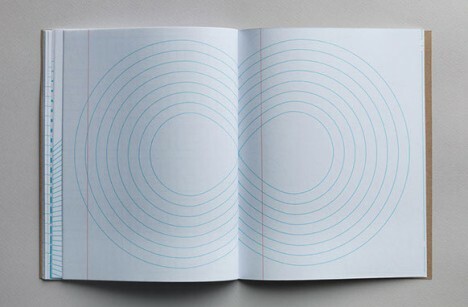 Made for those who like to color outside lines and jot outside boxes, each page of this bound pad provides a unique source of inspiration and different framework for drawing, sketching and writing out ideas. 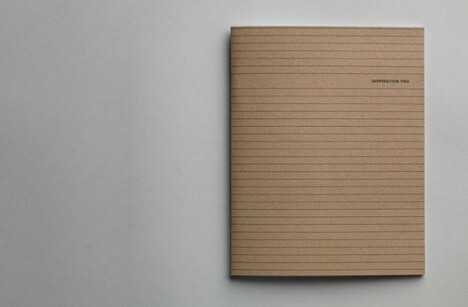 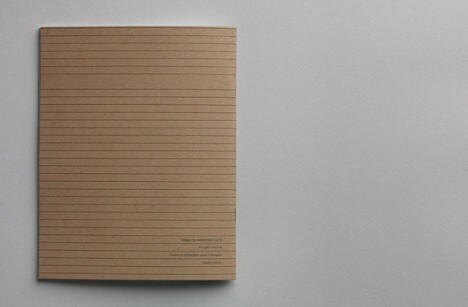 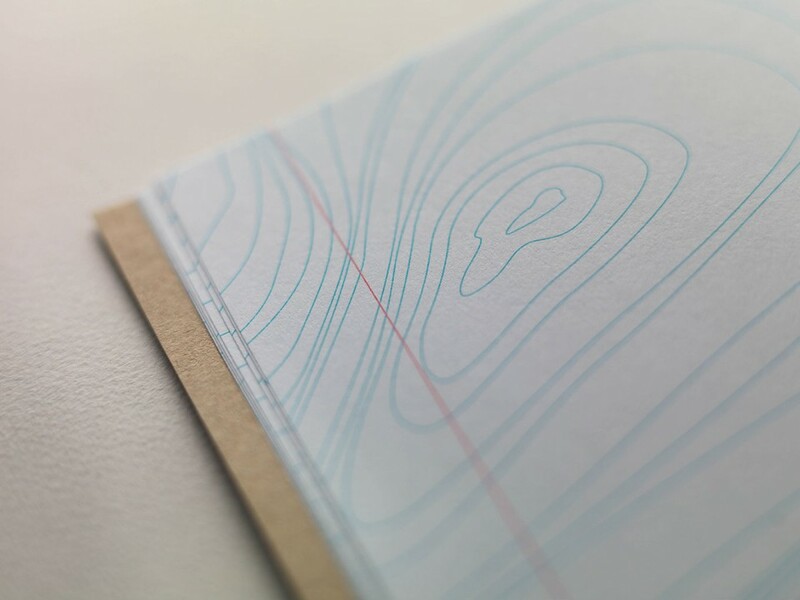 Available from tmsprl, the minimalist brown-bound notebooks show traditional lines on the front and back but playing on and warping the horizontal blue-on-white (with red verticals) convention within. 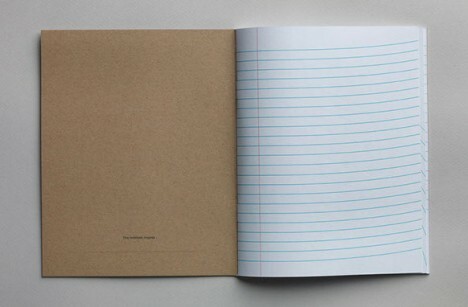 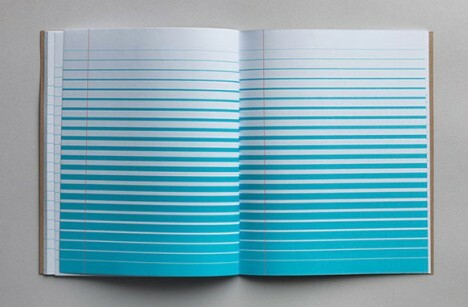 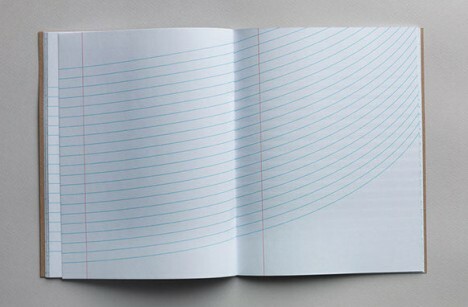 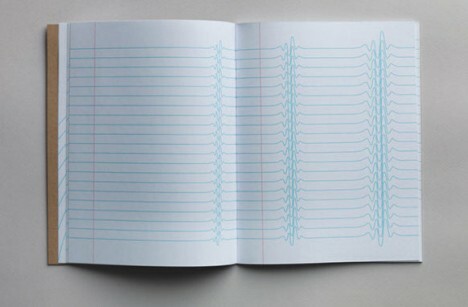 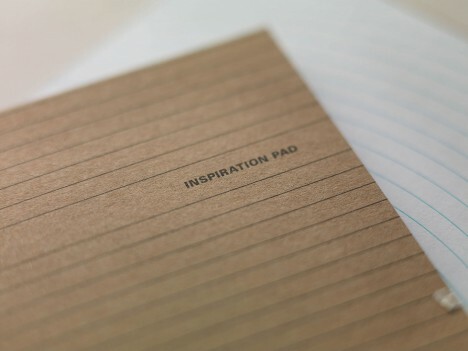 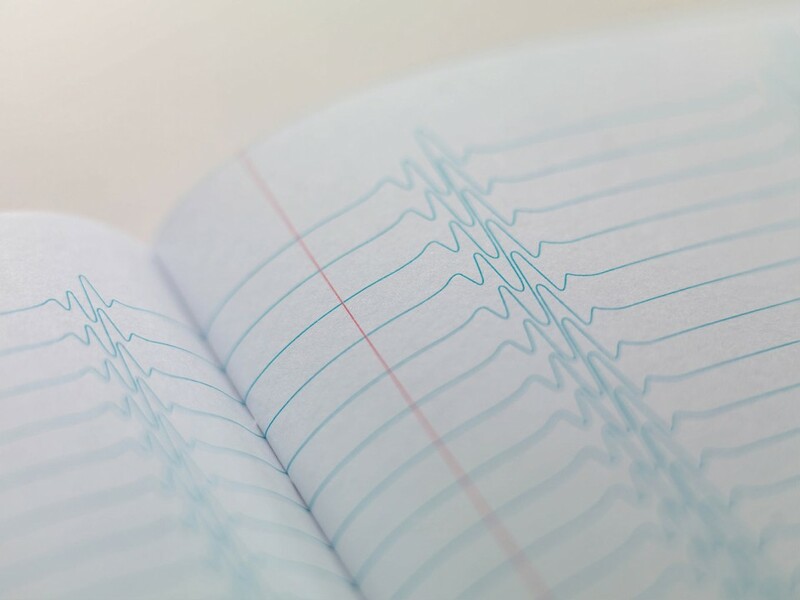 Some pages sport twisting topographic lines while others thin, thicken, curl, loop, twist and spiral, encouraging the user to put pencil or pen to paper in different ways throughout. 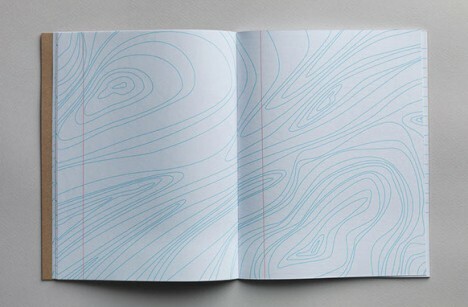 The deeper you delve the more surprises you find, starting with upward-swooping lines and culminating in crazy abstract patterns and strangely whimsical shapes.